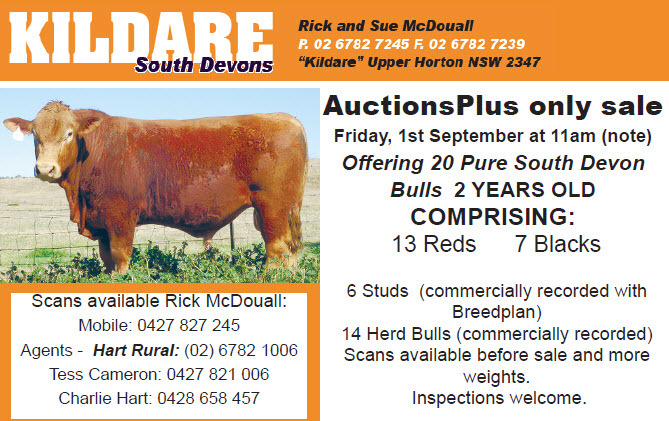 Kildare South Devon Bull Sale will be held September 1, 2017. Held on Auctions Plus. 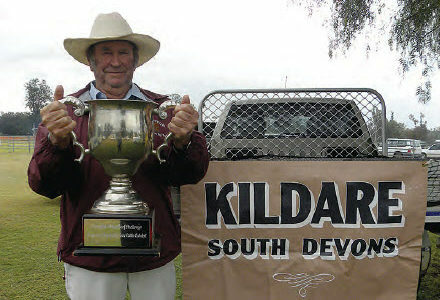 Rick McDouall proudly displays the Cattlemans Cup, won by his two-year-old heifer, Kildare Sassy.